Join us on the 2nd Tuesday of every month when we meet to discuss the current book and pick up the next month’s title. We reserve copies that you can get at the library. Check out the Book Club Reading List for 2019. 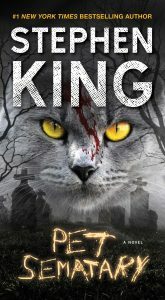 We will be discussing Pet Sematary by Stephen King on Tuesday, May 14th at 7 pm. Do you love trying new recipes and sharing dishes? Do you love browsing cookbooks and eating food with your friends? 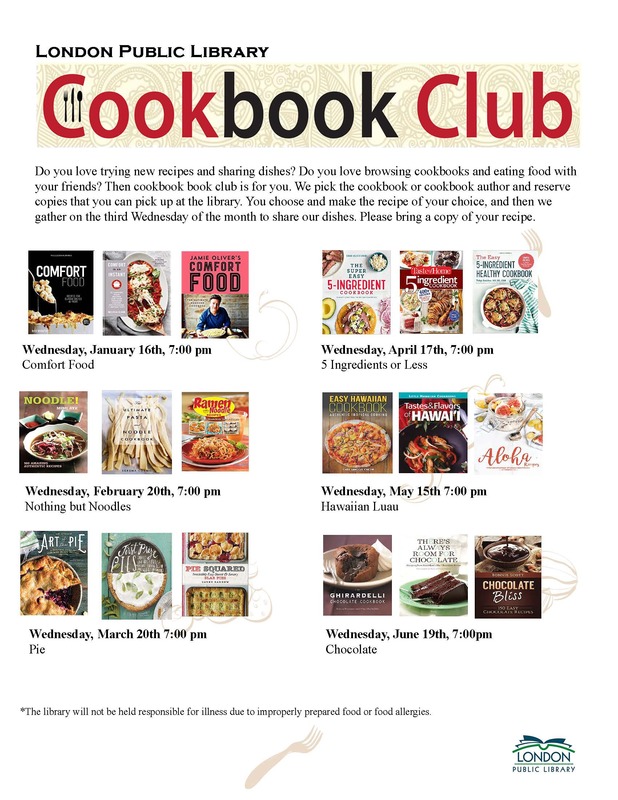 Then the Cookbook Book Club is for you. We pick the cookbook or cookbook author. We reserve copies that you can get at the library. You choose and make the recipe of your choice. Then join us on the third Wednesday of the month to share our dishes. Please bring a copy of your recipe. 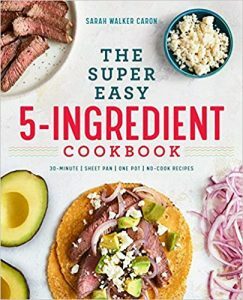 Join us on Wednesday, April 17th at 7 pm as we try dishes made with 5 ingredients or less.